Liquid Len’s Last Stand. Liquid Len arrives in Epping Forest to help settle a turf dispute between feared gangsters Billy Wright and Little John. The battle which follows is filled with knives, knuckledusters, and Scotch Eggs. The Life Boutique. In 2079, Tyrone Clarke tries to rid himself of a difficult wife by visiting the Life Boutique, and swapping parallel universes with an alternate version of himself. But the result is not what he expected. Just a Job. Peter declares his love for Maria, but it’s the last thing she wants to hear. Lucky Dip. Trevor Liddle plays a fairground game, the context of which will define the rest of his life. This will transpire to be a life of quiet, inescapable horror. The Faintest Echo. The last of the ‘Blue Girls’, Lilith White, finds that sometimes the ripples of time do come back. 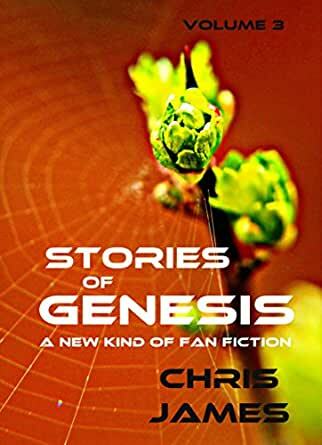 Chris James is audacious in his choice of range, subject and genre for these stories. I was surprised at the emotional journey I took, and that feeling remains after having read each story at least twice. As I am familiar with just a small selection of progressive rock band, Genesis’s music, I read the first two volumes of Chris James’s “new kind of fan fiction’ with only the slightest understanding of the music that inspired his short stories. It didn’t matter. The stories stood as excellent writing on their own. In fact, in the second collection there were several beautiful pieces of literature: stories that have stayed with me, magnificent writing. When I saw this volume, I realized I would be reading this group of stories with more reference knowledge. In fact, two of the stories are connected to songs which would appear as standards in my desert island favourites list. Would I experience the writing differently this time around? I’ve ultimately decided that knowing the song inspirations may be a nice coincidence but it is truly the strong writing that made my reading such a pleasure. Although I was looking forward to the last two stories the most (those with familiar connections), I took my time and read the entries in order, from the beginning, as the author has placed them. This was exactly the right approach. I was completely ensconced in plot lines, action and characters’ dilemmas. Only upon finishing the entire book did I go back to check the song lyrics. Folks, this is unique, unflinchingly real storytelling.The journey is real. Humour to discomfort. Uncomfortable empathy to anger. Everyday horror to poignancy. The complete set of these Genesis inspired volumes have been eye opening for me in terms of form and imagination. This third and apparently final volume is definitely reading time well spent. **Note for transparency: I was honoured to be a beta-reader for this book; however, I have purchased my own copies (paper and e-book) for my personal library.